In practice some may tack together a different job description altogether, but in theory, your job as chief financial officer has four main functions. Broadly grouped together, these are to plan, to organize, to lead and to control. It is no coincidence that the planning function comes first on the list. 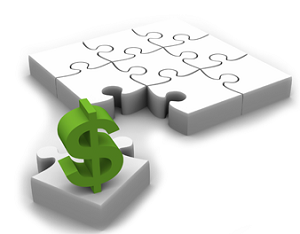 Planning creates the platform on which all other financial functions are carried out. It is impossible to organize resources, to control money flowing in and out of the business, and to lead the company and its people in the direction to which you intend without having powerful, effective planning in place. In a CFO’s world, that means starting off with your financial strategy. A financial strategy summarises targets and the actions to be taken over a given period (usually three to five years) in order to achieve those targets. It identifies the key policies that will guide those actions, usually taking its cue from the company’s mission and/or vision. In short, it is a macro document, detailing the broad financial steps that need to be taken in order to achieve your company’s vision in the medium term. Most companies have a financial strategy of some sort. However, this should form a living document that actually guides actions and decisions made. Too often, a financial strategy becomes a written form of lip-service to a plan that never comes to fruition. Below are four ideas to ensure your company’s financial strategy is of the effective kind. 1. Know exactly what you want to achieve. In Lewis Carroll’s Alice in Wonderland, the protagonist reaches a fork in the road and wonders which way to go. “Would you tell me, please, which way I ought to go from here?” she asks the Cheshire Cat. “That depends a good deal on where you want to get to,” he responds. “I don’t much care where,” says Alice. “Then it doesn’t matter which way you go,” he responds. The more clear it is in your own mind the direction in which you are heading, the easier it will be to map out the best route to get there. Draw a picture. Have a slogan. Write a headline. Choose the method that most effectively helps you distill your company’s vision into a few simple words. Once that’s clear to you, the map to getting there will become clearer too. 2. Understand that financial strategy creates the link between short- and long-term planning. In his book Run your own business and make lots of money, Eric Parker points out that strategic planning is the modus used to integrate your short-term plans with your long-term plans. Financial strategy could also be termed as ‘scenario planning’, he says. It’s a method whereby you identify future desirable scenarios and describe the means you require to turn these into reality. 3. Don’t delegate to someone more junior than you. It sounds like a no-brainer, but there are CFOs out there who attempt to get the company’s financial strategy done with minimal input from themselves. If your financial strategy is really to be the blueprint of your company’s success then it requires the input of someone who has years of experience, strategic insight, and ability to link short- and long- term planning. In other words, it needs to be driven from the top. Often, your financial strategy will be used to impress potential investors. If a potential financier wants to discuss it with you, you’ll need to be comfortable with the detail. 4. Think of it as a SWOT analysis with numbers. Parker points out that your financial strategy should consist of scenarios that enable you to make the best of your available strengths, while simultaneously minimizing your weaknesses. The starting point is knowing what these are. Getting an “outside” opinion can often assist with this: someone a little further from the ‘problem’ can provide fresh insights into the possible opportunities and pitfalls your company may face. Using these four pointers will help you get into the mind-frame required to compile a truly effective financial strategy. If you need assistance in developing this plan, The Finance Team has a number of associates who can assist. These experienced, qualified finance professionals can help provide the perspective and insight necessary to make your strategy into the powerful document it needs to be.